​Barcelona look to have been handed a boost in their rumoured pursuit of Ajax defender Matthijs de Ligt after the Dutch club have reportedly reopened negotiations with a possible replacement they initially tried to sign during the summer. According to Mundo Deportivo, Ajax have once more started discussing a deal to sign Boca Juniors centre-back Lisandro Magallan, who would arrive on Dutch soil in June. 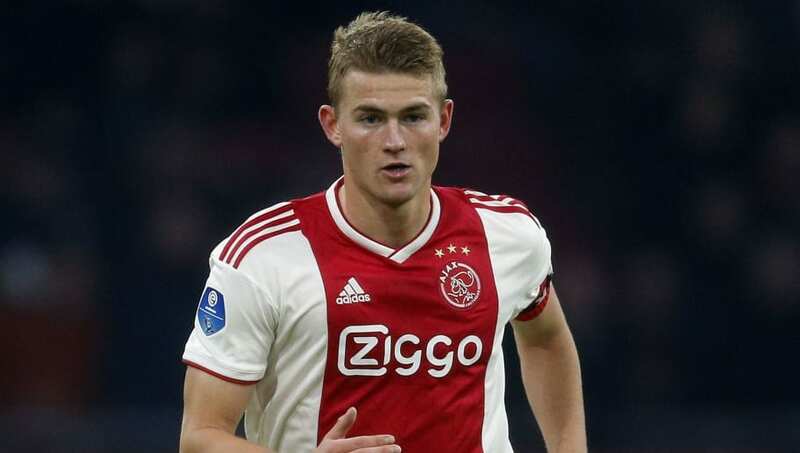 In theory that would allow De Ligt, who won't even celebrate his 20th birthday until August but has enjoyed a meteoric rise so far, to leave for Camp Nou. The teenager only became an Ajax first team regular in the second half of the 2016/17 season, going on to play in the Europa League final against Manchester United in Stockholm in what was remarkably only the 17th senior start of his fledgling club career. He has since also established himself as a full Netherlands international and is already captaining Ajax on a regular basis in the injury absence of usual skipper Joel Veltman. Barça remain linked with a move for De Ligt's Ajax teammate Frenkie de Jong, as well as a seismic deal that would bring Neymar back to Camp Nou from Paris Saint-Germain. But strengthening at the back is arguably the greatest priority for the Catalans right now. Having let Yerry Mina and Marlon Santos leave the club in summer, Barça are down to the bare bones in the heart of defence as a result of injuries to Samuel Umtiti and Thomas Vermaelen. Gerard Pique and Clement Lenglet are the only two centre-backs currently available to coach Ernesto Valverde, with 19-year-old La Masia graduate Chumi called up from Barcelona B to provide cover on the bench in recent weeks.